Unisoft has also developed Namkeen Machine with motor operated with stainless steel body built on heavy-duty M.S Chasis.Caterers/restaurant/hoteliers can make sev, gathiya, papdi, Indian sev, etc. With extra screens for the different type of namkeen. Single joint stainless steel body extruder buckets available in two sizes 7" & 9" diameter. Unisoft has also developed Namkeen Machine with motor operated with stainless steel body built on heavy-duty M.S Chasis. Caterers/restaurant/hoteliers can make sev, gathiya, papdi, Indian sev, etc. With extra screens for the different type of namkeen. Easy to move to any place without much effort. Low maintenance due to special S.S Grade materials for the bucket for long durability. Trade MembershipWe are associated with rajkot chamber of commerce and industry. We are also member of eepc india for engineering export promotion council. We Unisoft Pheripherials from 2006 are the manufacturing, exporting, and trading of high-quality Agricultural and Food Processing Machine. Offered products range consists of Agricultural Machinery, Food Processing Machine, and Kitchen Equipments. These products are well known due to their proper functioning, low maintenance, and damage resistance. 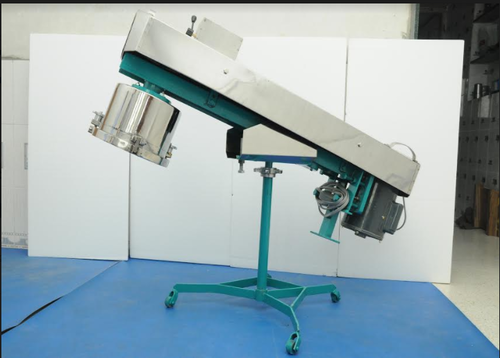 Apart from this, these agricultural and food processing machines are offered to the clients at very reasonable rates.